Since their 2009 debut 'Machine Dreams', Swedish band Little Dragon's output has been a little inconsistent. For instance, their 2011 breakthrough 'Ritual Union' featured the excellent title track alongside some less interesting filler, later followed by the brilliant standalone single Sunshine. It's perhaps for this reason that the band are yet to hit mainstream audiences and remain best known for singer Yukimi Nagano's guest appearance on SBTRKT's Wildfire. 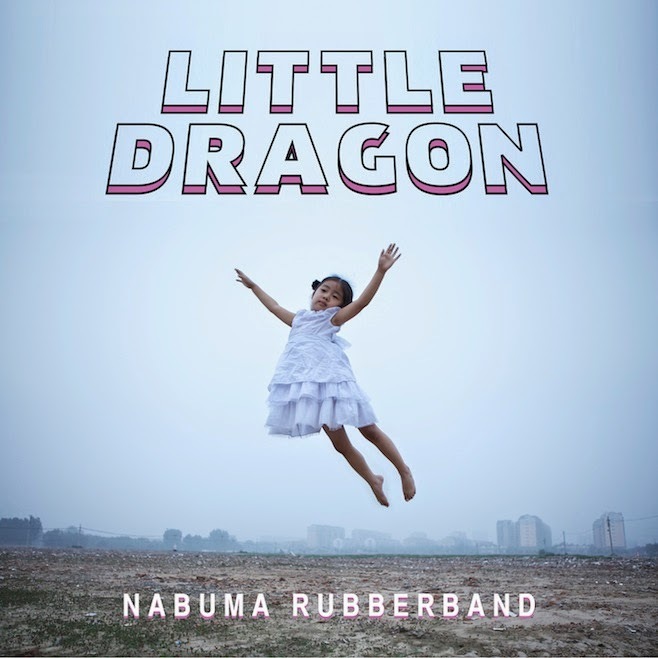 'Nabuma Rubberband' similarly features a couple of particularly standout tracks, but is overall their most consistent and strongest album to date. For the most part, the band have taken a turn towards nocturnal atmospherics, the overall sound a deeply sensual concoction of fuzzy sub-bass, clattering beats and Nagano's uniquely raspy and soulful vocal. Tracks like Pretty Girls, Underbart and the title track skirt around the edges of mainstream tastes with their memorable pop sensibilities. However, many of the tracks are more content with mood and hypnotic textures. Opening track Mirror sets the tone with its minimalist production, weird effects and cold emptiness between phrases, whilst Cat Rider and Killing Me take a gentler approach with their oscillating synth riffs and silken vocals. The result is a downbeat album (alongside Nagano's pensive lyrics) that's certainly cohesive in its soundscapes, but with a sumptuous closing track entitled Let Go, you can't help but wish the band would do this a little more often. Thankfully the album is saved by its two lead singles Klapp Klapp and Paris. The former features a heavy rumbling bass, infectious beat and space aged synths that accompany its sinister, ritualistic video. The latter is the soundtrack to a late night city drive, its sombre atmosphere and lyrical sadness ("Remember it was Paris you said we were gonna meet, why's your answering machine still on?") juxtaposed with a dancefloor beat. With these tracks the band flirt with a mainstream pop audience, but this isn't an accessible album designed for major success. Instead, the album provides a strong musical aesthetic firmly on the artistic end of the electronic pop spectrum. Listen: 'Nabumba Rubberband' is available now.